Welcome! It's time to finish up your last minute touches on your photo art for this week. 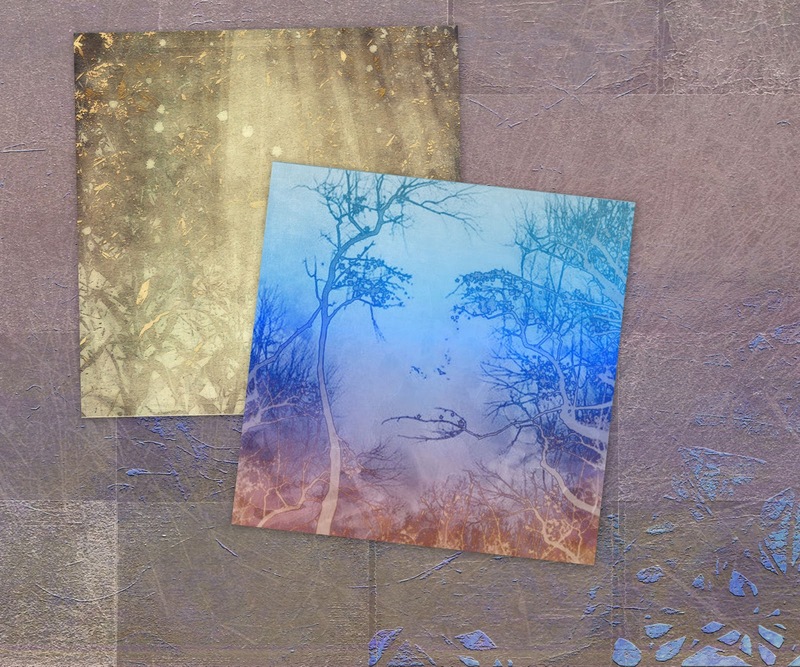 Photo Art Friday's virtual gallery doors open at 4:00 p.m. Thursday and will remain open to receive your submissions until Saturday at 7:00 p.m.
You can find the free Dropped Petals texture, in depth instructions and extra tips for making a piece of abstract composite photo art here. I have been sick this week and running around while sick for medical appointments and tests. I have not, therefore, had the time or energy to produce the type of abstract piece I had in mind and have had to settle with sharing one of my early attempts from last week. It's simple but I like the effect. In this piece I used two textures and one image from the web manipulated in Photoshop par moi. Each piece was used once. Above are the three components used to create the piece. Each was applied just once. * used pdpa Dropped Petals background as the canvas or basis for the piece. * applied the edited woman's face image (from the web) at an angle, leaving parts of Dropped Petals uncovered by it. * blended the two above images in Difference and adjusted opacity to 62%. * applied a Layer Mask and blended edges of face image into Dropped Petals background. I basically removed the line edges of the image with my masking. * added pdpa Dancing Dust texture on top of other two images and blended it in Overlay at 100%. * Levels Adjustment to bring in more whites (light). * Hue/Saturation Adjustment to increase saturation of yellows only - to make them pop. * Sharpened finished abstract composite slightly. * Added my copyright banner for posting on the Internet. 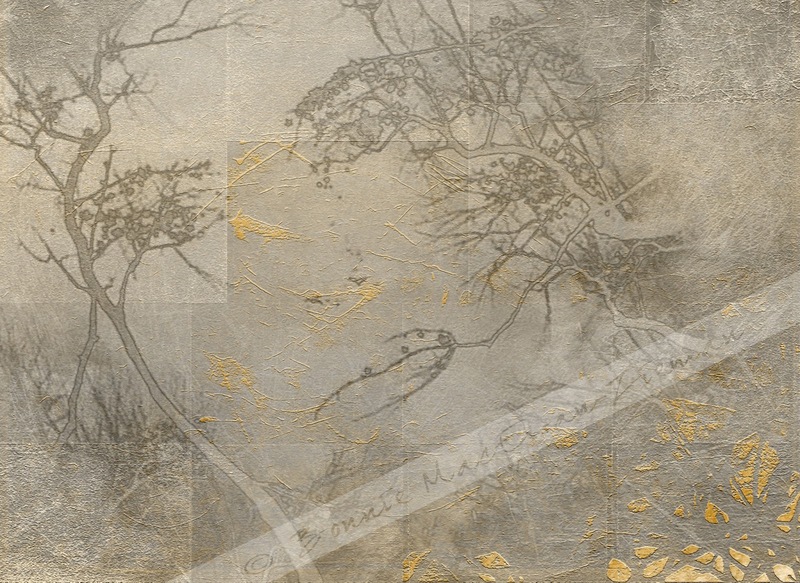 For next week's Photo Art Friday of February 15th - 16th, the optional theme/challenge is to create a piece of photo art using my texture freebie from earlier this week - pdpa Bamboo Dream texture. If you have not downloaded it yet, you can find it in this post. Photo Art Resource Cache subscribers can find new textures posted on the bonus pages and a new texture set will be posted for you this weekend. Thank you for explaining your processes in such detail. I liked the result too. Hope you are feeling better by now. Bonnie, I'm so sorry you've been sick...I'm fighting a cold also but I'm feeling better. I hope you feel better very soon! Your processing is simple, but that's what makes it so pleasing to the eye...I love it! That's beautiful! I must say that while we both use the patterns of tree banches for our creations, your raher more minimalistic version is oh, so much more pleasing to my eye than my own explosion of colour... really... :) But, again, I had lots of fun! Feel better Bonnie :) love those effects, truly magical! Well, some peopel do great things when they are sick ... looks like you are one of them. Hope it is nothing serious and you will be feeling well again soon. Try as I may, I couldn't quite get myself to "abstract" ... guess I am a realist at heart. But I gave it a try and am not unhappy with the results even if I didn't really follow the rules ... Be well, Bonnie. Beautiful work, Bonnie. I love the woman's face. It's great that you can remember what you did. When I start playing with editing, I get so immersed in it I forget all the different "steps" I kept. Some I tried and eliminated. Whatever..... it was fun. You are such an inspiration. So sorry that you're unwell, Bonnie. But the piece you've offered for the abstract exhibit is really lovely. Sometimes it's best to not overthink/overwork a piece (I know from doing just that myself, far too often!). Take good care of yourself. Rest! I love the variety here and you gave some great ideas! It is always hard for me to know when to stop!!! I love how your piece constantly has you refocusing your eyes to pick up new focal points. 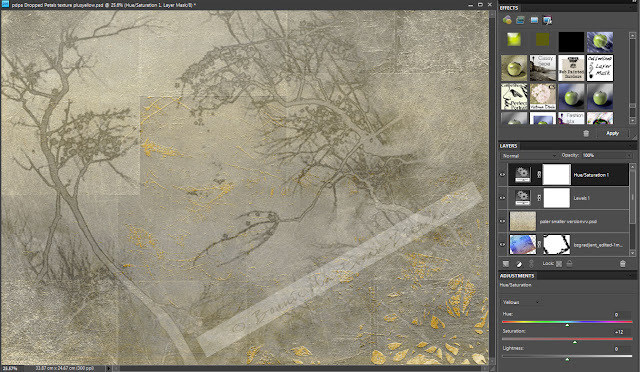 Thank you for creating such a lovely texture to work with a neat challenge to practice with! Love your photos. Interesting post. And this is an excellent and unusual meme with some inspiring contributions. Enjoyed this challenge...really pushed the limits. this is an extraordinary piece of art, Bonnie. subtle and lush at the same time. I hope you are feeling much better and I am so glad for the challenge this week. often it is just what I need, a creative challenge, to step up into and explore. Bonnie I'm sorry to hear you weren't feeling well this week. Hopefully you are recovering by now. - Your piece is so cool. I love how you used the artwork of the woman's face and the trees. They blended into the textures perfectly. - This was a tough challenge for me but I was happy that I gave it a try. I love all the work you do with faces, Bonnie. Enjoying the muted tones of this piece with the little pops of golden colour. Hi Bonnie, your work is beautiful! I hope all is better now. I am in awe of all of the many wonderful works of art here. It takes me a while to get around but I sure enjoy seeing the different variations of photo art..Take care!